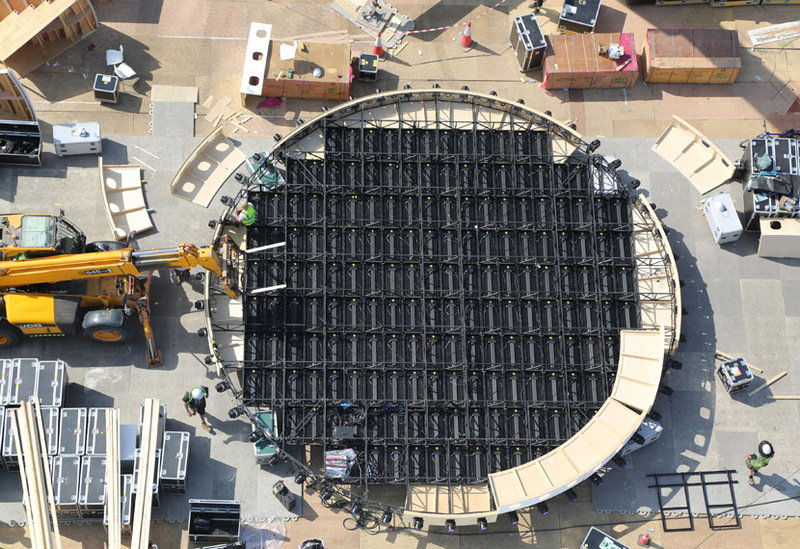 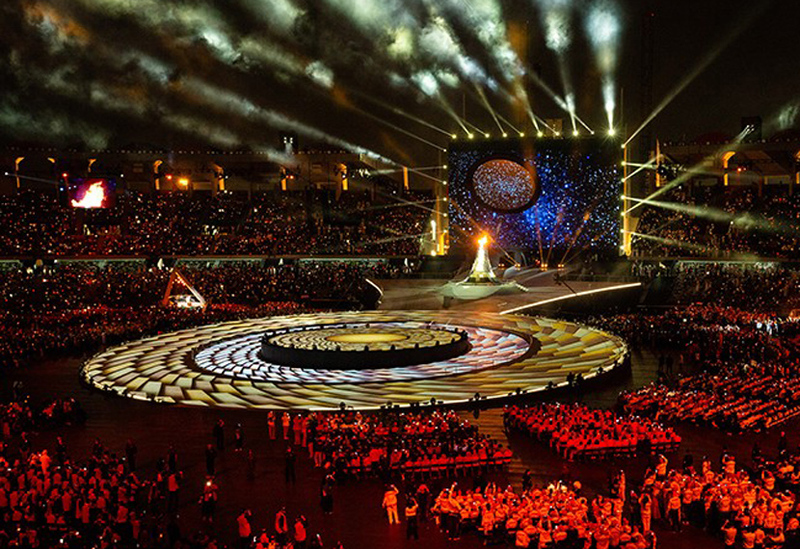 We manufactured and installed a flying system, automated cauldron, a large flown LED disc and stage lift for this dynamic and uplifting ceremony that delivered ‘a spectacular celebration of humanity at its brilliant best’. 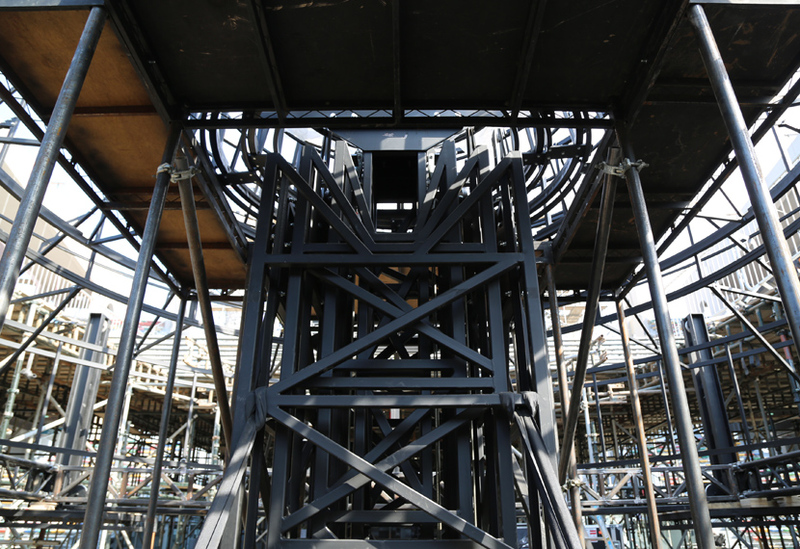 With short lead times, the process of drawing, engineering, testing and design was fast-tracked through our CAD and workshop departments. 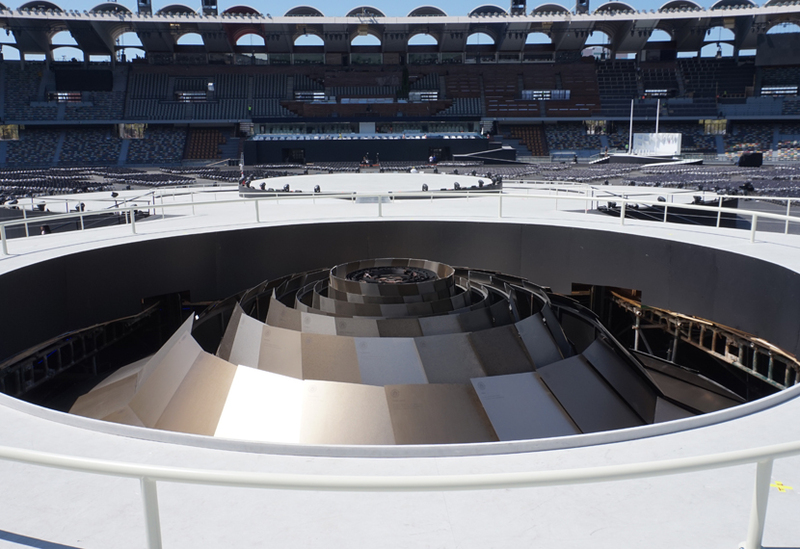 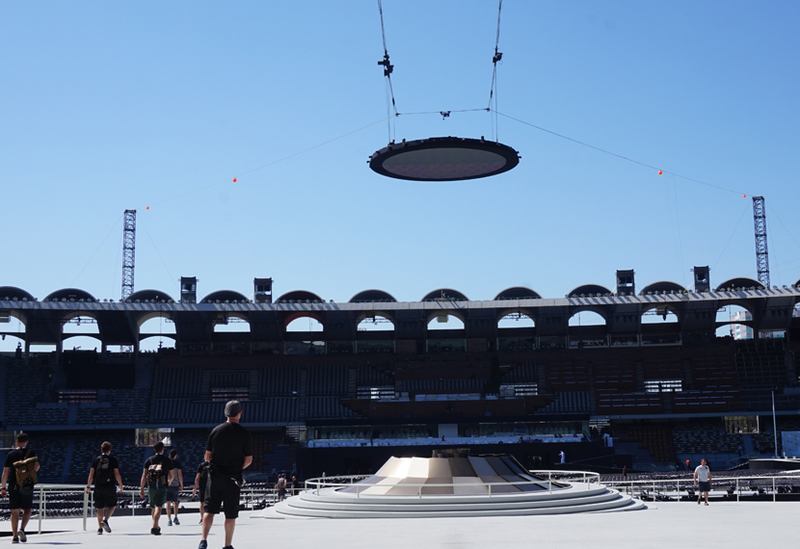 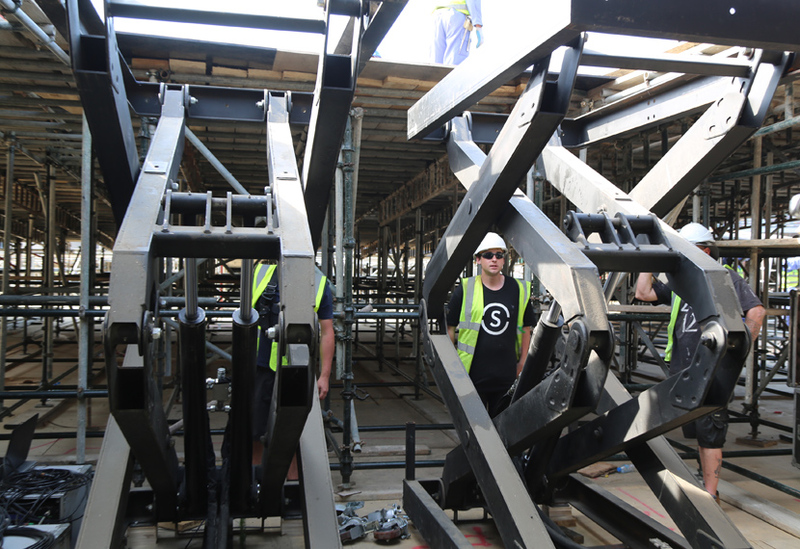 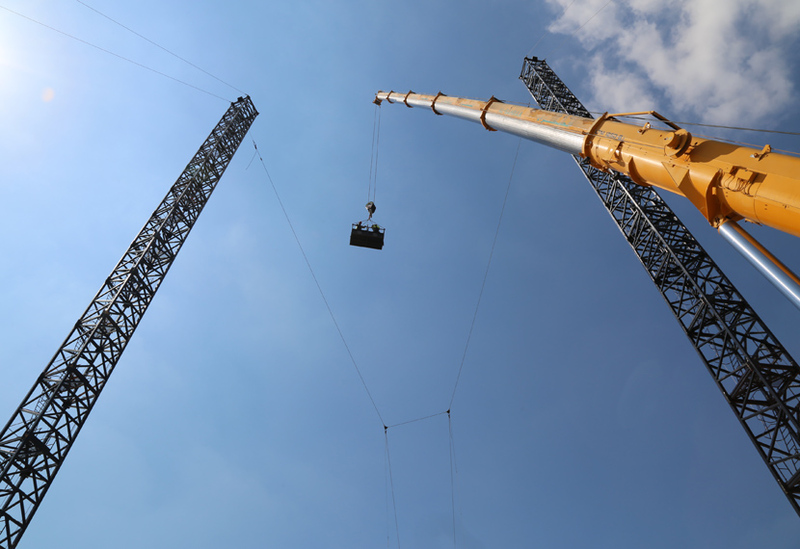 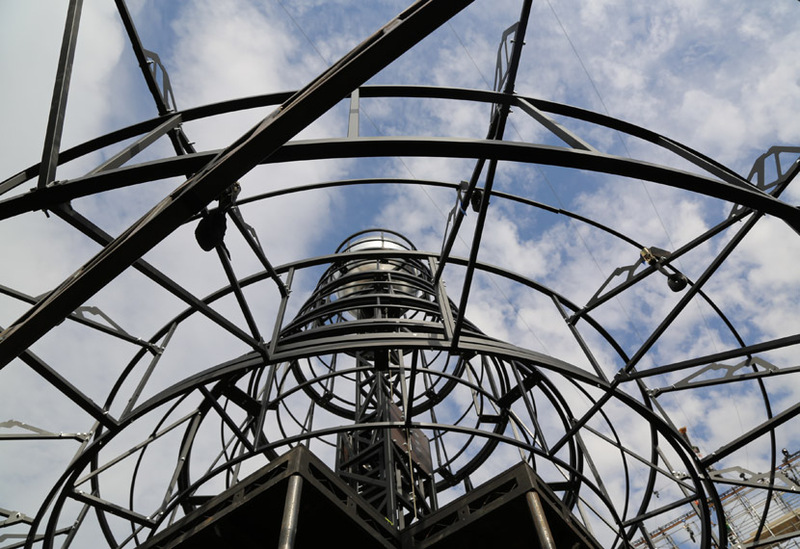 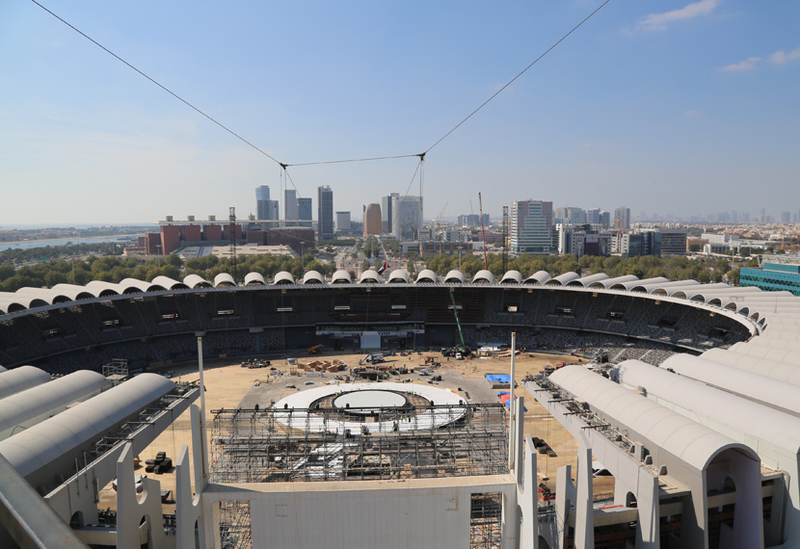 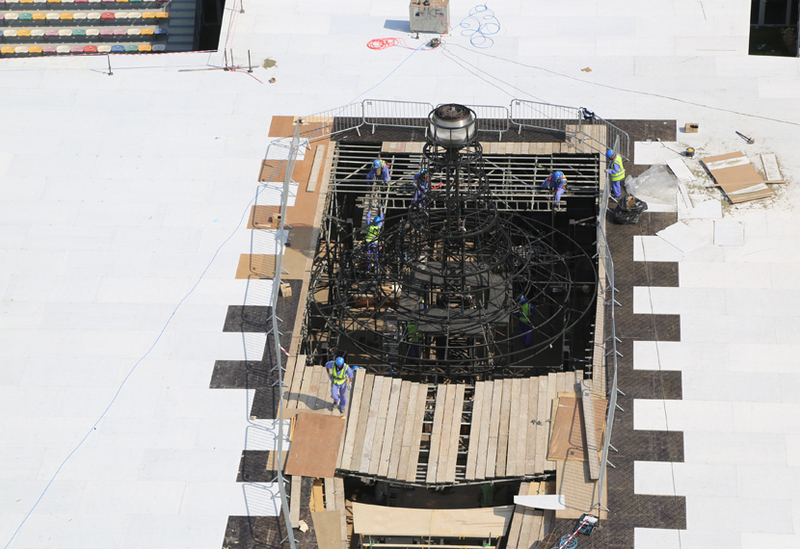 On site, a two line catenary was rigged from crane masts above the stadium and used to raise a large LED-clad disc. 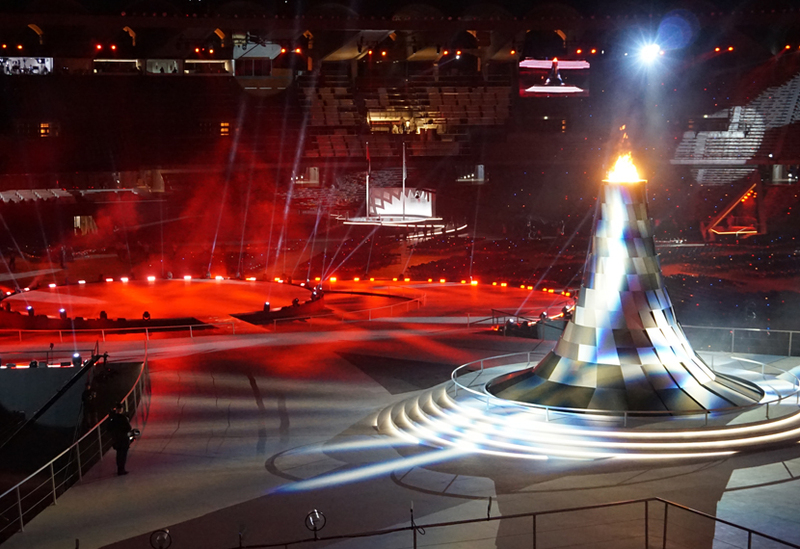 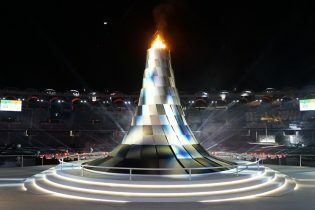 This flew over and around the stadium, returning to the field of play with a torch bearer carrying the Olympic Flame. 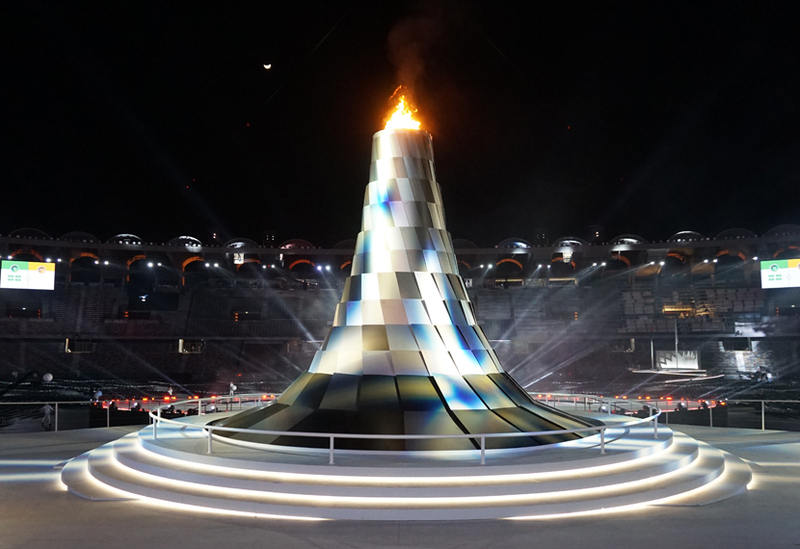 The telescopic cauldron delivered a key moment: twelve nesting layers of 252 individual rolled and anodised aluminium plates were driven by a central column lift, rising to reveal a pattern of anodised colours. 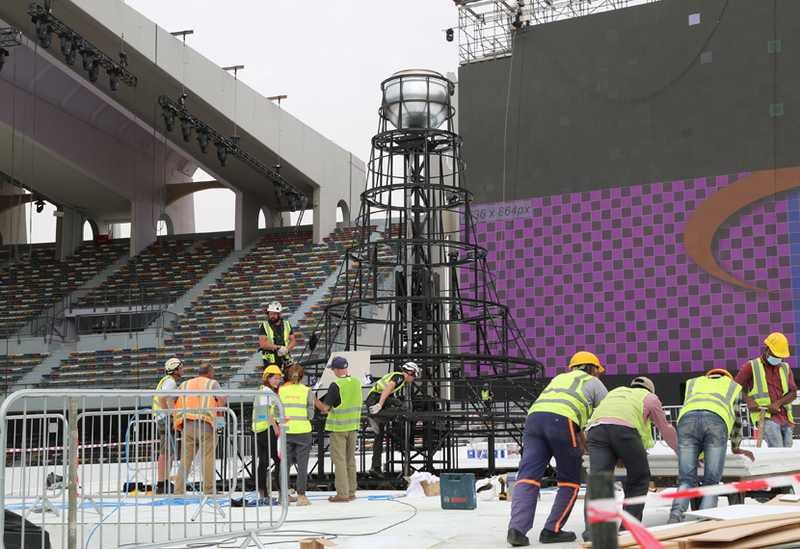 Each plate was inscribed with the name of a participating nation, while the overall pattern referenced the traditional weave pattern widely recognised across the UAE. 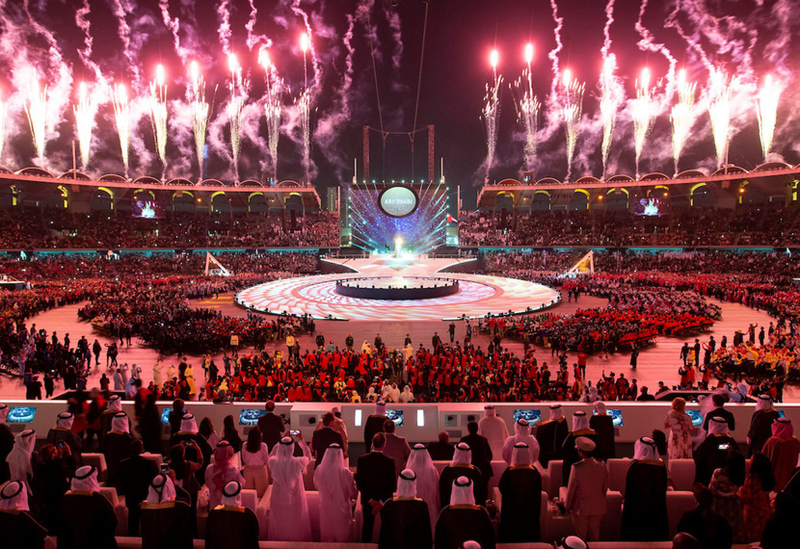 This is the world’s largest humanitarian sporting event and focuses on the empowerment of People of Determination with intellectual disabilities through the power of sport.